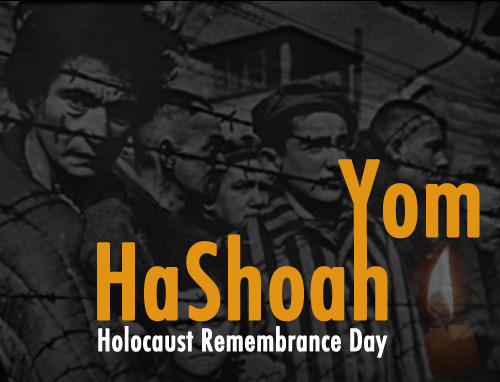 Yom HaZikaron laShoah ve-laG'vurah (יום הזיכרון לשואה ולגבורה; "Holocaust and Heroism Remembrance Day"), known colloquially as Yom HaShoah (יום השואה) and in English as Holocaust Remembrance Day, or Holocaust Day, is observed as Israel's day of commemoration for the approximately six million Jews who perished in the Holocaust as a result of the actions carried out by Nazi Germany and its accessories, and for the Jewish resistance in that period. The Holocaust (from the Greek ὁλόκαυστος holókaustos: hólos, "whole" and kaustós, "burnt"), also known as the Shoah(Hebrew: השואה, HaShoah, "the catastrophe"), was a genocide in which approximately six million Jews were killed by the Nazi regime and its collaborators. Some historians use a definition of the Holocaust that includes the additional five million non-Jewish victims of Nazi mass murders, bringing the total to approximately eleven million. Killings took place throughout Nazi Germany and German-occupied territories. From 1941 to 1945, Jews were targeted and methodically murdered in a genocide, one of the largest in history, and part of a broader aggregate of acts of oppression and killings of various ethnic and political groups in Europe by the Nazis. Every arm of Germany's bureaucracy was involved in the logistics of the genocide, turning the Third Reich into "a genocidal state". 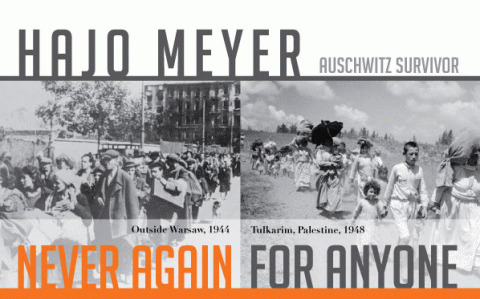 Non-Jewish victims of broader Nazi crimes include Gypsies, Poles, communists, homosexuals, Soviet POWs, and the mentally and physically disabled. In total, approximately 11 million people were killed, including approximately one million Jewish children. Of the nine million Jews who had resided in Europe before the Holocaust, approximately two-thirds were killed. A network of about 42,500 facilities in Germany and German-occupied territories were used to concentrate, confine, and kill Jews and other victims. Between 100,000 and 500,000 people were direct participants in the planning and execution of the Holocaust. The persecution and genocide were carried out in stages. Initially the German government passed laws to exclude Jews from civil society, most prominently the Nuremberg Laws of 1935. A network of concentration camps was established starting in 1933 and ghettos were established following the outbreak of World War II in 1939. In 1941, as Germany conquered new territory in eastern Europe, specialized paramilitary units called Einsatzgruppen were used to murder around two million Jews and "partisans", often in mass shootings. By the end of 1942, victims were being regularly transported by freight train to specially built extermination camps where, if they survived the journey, most were systematically killed in gas chambers. The campaign of murder continued until the end of World War II in Europe in April–May 1945. Jewish armed resistance to the Nazis occurred throughout the Holocaust. One notable example was the Warsaw Ghetto Uprising of January 1943, when thousands of poorly armed Jewish fighters held the SS at bay for four weeks. An estimated 20,000 to 30,000 Jewish partisans actively fought the Nazis and their collaborators in Eastern Europe. French Jews were also highly active in the French Resistance, which conducted a guerrilla campaign against the Nazis and Vichy French authorities. In total, there were over a hundred armed Jewish uprisings. On January 27, 2005 the United Nations General Assembly held a special session in remembrance of the liberation of the Auschwitz concentration camp on the same day of 1945. This is the first time that the international organization made a remembrance of victims of the Holocaust as a way to prevent futures genocides. Also the General Assembly toke the day 27 of January as the International Day in Memory of the Victims of the Holocaust. And this is what must be know during Yom HaShoah. 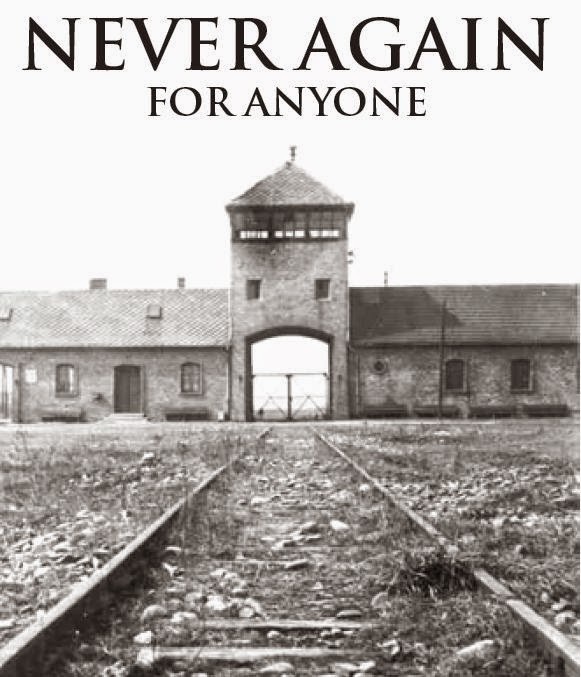 The Holocaust ended 70 years ago, let us never forget and let us never let it happen to anyone else ever again. The fear that this can happen again in not unfounded let's prevent this from happening to anyone else.